Since its inception in 2002, Lifeblood: The Thrombosis Charity has been working to raise awareness of thrombosis with the public and healthcare professionals. The 'Stop the Clots' campaign focused on hospital-acquired blood clots, the biggest preventable killer in UK hospitals, with 70 per cent of these deaths preventable through risk-assessment and treatment. The most notable achievement of the campaign was that the Department of Health (DH) produced targets that mandated risk-assessment of all adult patients on admission to hospital, with prevention of hospital-acquired clots added to the National Operating Framework of the NHS. This was a significant achievement considering Lifeblood's relatively small size and limited funding. 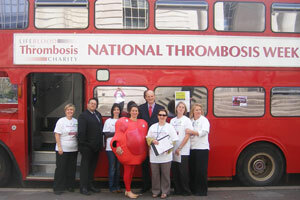 Lifeblood's 2009 mission statement was to ensure mandatory thromboprophylaxis for UK patients at risk of thrombosis. Along with political lobbying, it was imperative to increase public awareness of risks associated with hospital admission. Lifeblood needed to alter public perception about the risk of blood clots; a 2009 survey showed that less than one third of people would be concerned about developing a blood clot while in hospital, despite the fact that they kill more than 500 people per week. With media coverage over recent years dominated by the superbug MRSA, Lifeblood needed to raise its media profile, and communicate key thrombosis messages. 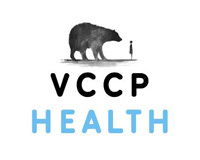 • Warn your doctor if you experience symptoms or are concerned about risk. The awareness week was launched by Linda Barker (celebrity designer who nominated Lifeblood as her chosen charity during her time on I'm a Celebrity… Get Me Out of Here!) and John Smith MP (Chair of the All-Party Parliamentary Group on Thrombosis) at St Thomas' Hospital, London. The tour itinerary was structured around key events to maximise media opportunities. Passersby received get well cards with FLOW messaging. Furthermore, Lifeblood continued lobbying for risk-assessment of all patients admitted to hospital, including meetings with MPs, ministers and the DH. • 17 ambassadors were rewarded for their support of Lifeblood, raising awareness of blood clots and implementation of best practice thromboprophylaxis. "The exceptional organisation and hard work by Athena resulted in an extremely successful National Thrombosis Week 2009, and we look forward to making next year's event bigger and better." Lifeblood: The Thrombosis Charity was the winner for Patient or Professional Association of the Year at the Communiqué Awards 2010.